PLN – Let Learning Lead. Something amazing happened to me two days into 2016, but bear with me here because there’s some lead-up before I jump in and tell you about it. As soon as I had time to process it I knew I had to write. Then, as I began writing, I realized that this experience is more than a “can you believe it” story. In fact, it fits into a bigger picture, a shift in mindset that I want to focus on in the new year. This shift focuses on being in the moment in order to make and maintain stronger connections with the people around me. It all started with this picture (click the link for a larger version) and story that I posted on my personal Instagram account while traveling in southern Italy this past summer. Make sure you read the text next to the photo. It will become important later. I have always believed that the best part of leaving your comfort zone and visiting someplace new, whether that place is another country or simply another county, is meeting the people who inhabit that place. Making positive connections with strangers from other cultures or people who live in a different environment will usually (and hopefully) lead to a new perspective. No matter how big or small this revelation is, we are most certainly made better for it. A dose of new perspective changes us. It can eradicate hopelessness, open minds that were undoubtedly and indefatigably closed, or even reveal parts of ourselves that we may be uncomfortable with. This is how we become better people. This is how we STOP being governed by fear and start understanding that most people are on the same journey that we are no matter where they’re from. Imagine how surprised I was then when, yesterday afternoon, I got a message via Instagram from the very gentleman in the picture above, Firas from Lebanon, a person who drifted briefly into and then just as quickly out of my life, someone who I met 4000 miles away from my home and never expected to interact with again. This is the power of our connected world. It turns out one of his Italian friends that he had been visiting when we met stumbled across my photo while scrolling through images tagged with his village. After his friend sent him the link, he felt compelled to send me a message telling me how much the photo and what I wrote meant to him. I was so shocked I nearly dropped my phone! What were the chances?? But then again, this is 2016. We have so many more ways to come into each other’s lives now. It takes as much effort to talk to the person sitting next to us as it does to talk to a person sitting in a cafe in France or a classroom in Hong Kong. We have so many opportunities to connect, and we never know how that connection might come full circle in the future. I will focus on developing deeper connections with those already in my life both personally and professionally, by being present in the moment, by listening rather than simply waiting my turn to speak, and I will look to make connections with new people who can help to broaden my perspective and push me out of my comfort zone into the space where learning (and sometimes failure) happens. Thanks to Firas for unknowingly reminding me that resolutions do not have to be measured physically, but instead can be about a mindset. I’m truly excited about 2016. Now, let’s connect! The release of the Common Core Task Force Report from Governor Cuomo’s office has created some interesting news and even more interesting social media posts. While it is tempting to rush through the talking points of this document, we must remember that these are recommendations, not an immediate change in regulations. There are, in fact, 21 recommendations set out by the Task Force in the report. It would be easy to begin predicting all of the possible ways that things could change for us and for our students. But, any prediction, at this time is premature. And as we have seen in the past, however, trying to predict how things will play out in Albany is never an easy call. We were relieved to see that some of the negative examples they shared (teachers being required to use modules in whole, automatically placing students in AIS based on one state test score, not providing IEP accommodations, etc.) did not occur in our buildings or districts. That’s one of the things that makes jumping on “throw away all things Common Core bandwagon” difficult. As with many things in life, this is not a simple black-and-white issue. Throughout this report and even in an additional report released by NYed Voice Fellowship the call has been made for the establishment of a “transparent and open process” rich with educator voice. This is one of the most exciting themes to be reading about! It feels like FINALLY stakeholders are starting to listen to each other (especially those above us in government and policy positions). The next tell tale signs will likely be gleaned from the Governor’s State of the State address in January, the release of additional information from Commissioner Elia, and upcoming Board of Regents Meeting. It would be very easy for all of us to jump into the “what happens next?” conversation. Admittedly, it may be tempting to focus on this report as the document that is going to immediately shift the negative rhetoric that has been so present in discussions about education these days. However, we must keep in mind that some of what we have seen in implementation has been good. Let’s not lose sight of that! Educators continue to work hard to ensure that students are getting a diverse and rich classroom experience, and that will continue to be the case. As for what happens next? We’ll keep our focus within our schools knowing that we will capably respond to any new regulations as they are presented and when they are finalized. This response will be what it’s always been: Our very best efforts to do the best we can every day. I feel like I could sleep for days, and, yet, I am more energized than I have been in quite some time. That’s because I just returned from the ISTE 2015 conference in Philadelphia a little over 36 hours ago, and I’m still reeling from the experience. I should be catching up on much needed sleep right now, but I have to write about the privilege of being able to attend a conference that draws around 20,000 people each year and the privilege of working in a district that understands the value of such things. Looking back, it’s mind-boggling how much activity you can fit into 4 days if you have comfortable shoes, a backpack, and a decent sense of direction! I checked my step counter, and I walked an average of 12,000 steps every day, and I only got lost in the enormity of the Penn Convention Center once. Needless to say, my calves would like a vacation. This was my second ISTE experience in as many years, and to be quite honest I wasn’t sure how this year could top last year in Atlanta. Amazingly, it did. How? One word: Connections. My experience this year was much richer compared to last year because so many of my Internet and real-life PLN was there to share it with me. 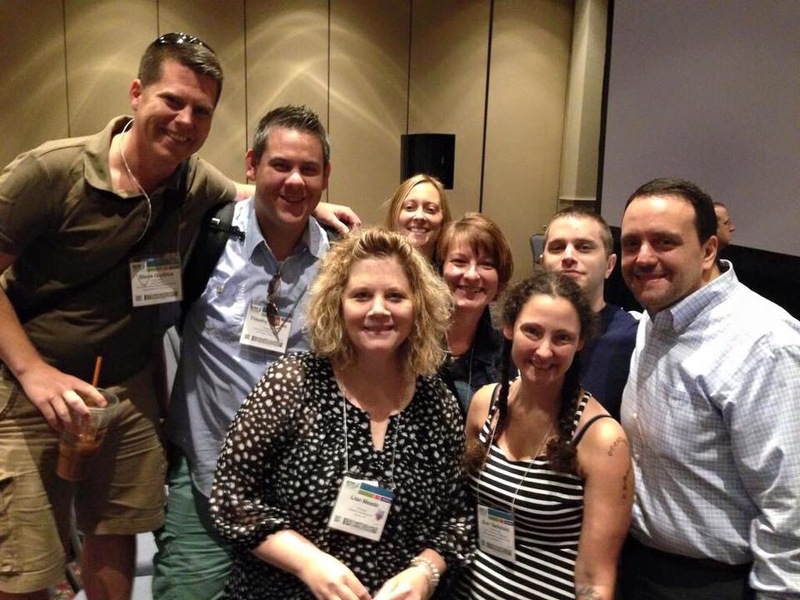 Even better, some of my Internet PLN became my real-life PLN when we met in person on the last day of the conference. It was truly awesome to be in the presence of folks whom I have developed such a deep respect for through the use of Twitter and Voxer. Whoever says you can’t form meaningful relationships through social media has never met these truly warm, decent human beings. 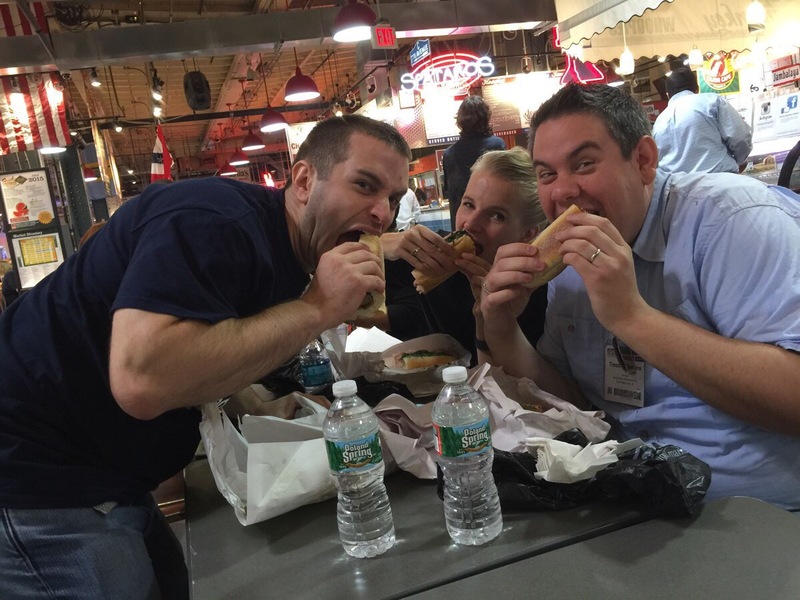 Pork sandwiches from DiNic’s for breakfast with Ross Cooper (@rosscoops31) and THE Pernille Ripp (@pernilleripp)? These are my people! Tom Whitby (@tomwhitby) said something very profound during the final session of the conference that I went to, the Corwin Connected Educators Panel. He said “If you are not connected, then you are not relevant. We don’t need irrelevant educators in this system.” That statement sums up this entire experience for me. Whether I was listening to the servant-leader storytelling of Chris Lehmann (@chrislehmann) and his teachers as they talked about 10 years of educating the youth of Philadelphia in a magnate school with one of the highest special education populations in the city, or getting choked up by the passion driven leadership of George Couros (@gcouros) as he pushed us to be innovative risk-takers, I knew that I could continue the conversation beyond the walls of his conference because I am connected. These presenters, and many others, are accessible to me through multiple social media outlets, and that allows me to tap into resources that may not have been so easily accessible even five years ago. I am so lucky to be a middle school principal. I am so lucky to have access to some of the best minds in education through a device that I can hold in the palm of my hand (the same one that I’m writing this blog post on, incidentally). I am so lucky to know that, as a new school leader, people who have never met me in person have my back. And I smile knowing that there will always be new opportunities for us to meet face-to-face, hug, and say thank you. I can’t wait until we can do it all again! Until then, I’ll see you online. It’s been a little over a year since I hooked up with a (best kind of) crazy group of risk taking educators and we started talking about bringing the EdCamp model to Upstate New York. It literally evolved out of one of those “Hey, why don’t we do this here” kind of moments. One person said it, and we all tumbled like dominoes. I really struggle to put into words how valuable the relationships that have developed out of this process have become to me as a person and professional. During the year since we began planning I have very unexpectedly (but certainly not unhappily) transitioned from a high school assistant principal to a middle school principal, and this group has been there for me, supporting my learning, every step of the way. Whether we were laughing together on a Google Hangout or Voxing while driving back and forth to work, I know that I can turn to any one of these individuals (Lisa Meade, Vicki Day, Christina Luce, Peter DeWitt, and Patti Siano), and they will have my back. They are role models in every way, but especially in the way that they fear neither taking a risk nor failing and starting over. They hold a special place in my PLN, but an even more special place in my heart, and I will say that over and over to anyone who tells me that meaningful friendships cannot be forged via social media. In the end, my biggest takeaway from our first Upstate New York EdCamp was that it doesn’t matter how many people are in the room. What matters is the conversation. We are small, but mighty. We learned about makerspaces, instructional tech tools, best literacy practices, and ways to connect at-risk boys to school. We taught a room of 35 educators how to participate in their first Twitter chat in real time (thanks #satchatwc). The discussions were rich, and everyone in attendance had something to share. This is the beauty of the EdCamp model. But most importantly, the thing that matters more than anything else to me, is the fact that I made new connections and strengthened relationships that I thought were already pretty solid. Special shout-outs to my partner in innovation, Matt Hladun, for opening doors and web filters (among other things) at our site, Queensbury HS, and to Jon Harper and Ross Cooper, who went above and beyond to make long trips from out of state and consistently elevated the level of conversation throughout the day. Meeting you both was a true highlight! 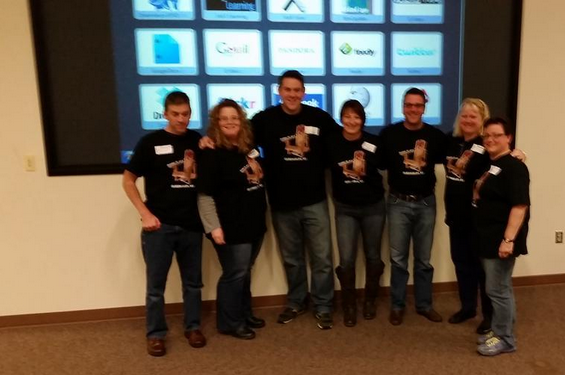 EdCamps bring out the best in us as people and professionals. They get us to think outside of the box, connect us as human educators, and they bring the conversations front-and-center at the ground floor level, which is something that state education departments across the country can’t quite seem to do. We took charge of our own learning, engaged in a tremendous leap of faith in some regard, and it paid off exponentially. I couldn’t be more proud! Check out our day, and keep your eyes peeled for #EdCampUNY2015! It’s my first 6th grade orientation as a brand new principal, and it feels like it’s about 9000 degrees on this late August evening in the gym as I sweat through my suit. I’m approached by a mother of an incoming student who has a question. She wants to know how to find out what team her daughter is on since the new schedules we just switched to this summer don’t list team names. For a moment I freeze. I definitely do not know the answer to this question. I should know, right? I’m the principal! As I smile outwardly, inside I’m trying to come up with an answer to what is seemingly a very simple question. Except I’m brand new, and I have absolutely no idea. I decide to be honest and tell this mother that, in fact, we’re going to have to find someone together that can answer her question. She is stunned. “But aren’t you the principal?” she asks me. “Yes. I’m Tim Dawkins. Nice to meet you.” I say. “And…you don’t know the answer to this?” she responds to my introduction, a bit startled. “No, I’m new like the students,” I tell her “but I’m really good at finding out who does!” WIth that we locate, together, one of the school counselors who did know the answer, and all was right again. Everything but that nagging feeling that I SHOULD have known the answer…..
As I’ve grown into adulthood I’ve become more rational when I’m faced with something I don’t quite understand, although not without varied amounts of pep talks from mentors and very understanding PLN members. Reminding myself that everybody has their own learning curve has been very important. Reading Carol Dweck’s book, Mindset, was a huge eye opener for me, too. Of course I still get frustrated, and people have to remind me that I will get it eventually, but I have been much more willing to be open to the idea that not everything is meant to come easy. This has never been more true than during the summer of 2014. I’ve written ad nauseum about all of the self-induced, very positive but also challenging changes in my life this summer. What I’ve discovered as I wrap up the “Summer of Upheaval” is that connecting with other professionals is a must. Of course I knew this prior to this summer, but my transition into a middle school principalship has really pushed me to find multiple ways to connect with thought-leaders, practitioners, and mentors in the field of middle level leadership. Luckily for me, there’s Voxer. Voxer has allowed me to connect with multiple individuals within the field of middle level education, and as I’ve connected with them I’ve been able to connect them with each other. Now, I have this burgeoning group of middle level leaders from across the country that are constantly sharing new and innovative ideas, asking questions, and showing me that it’s OK for the principal to not have all the answers, all in an active and ongoing Voxer chat! Plus, actually being able to talk to one another and then listen when it’s convenient is the best of both worlds! Voxer is the technological embodiment of the Growth Mindset. It allows me to embrace the “Power of Yet”, turn to my middle level colleagues, ask how they approach something, and move forward with their help. With Voxer, I never have to feel like I am going it alone. If I can’t find the answer, I have collective knowledge than can help me over any hurdle. Plus, they make me laugh. What could be better?! Voxer has truly changed my professional life for the better, and I encourage you to explore the possibilities for yourself ASAP! I’m all in when it comes to Twitter. This has been the case for a number of years. I believe that it is one of the great equalizers of our time. Not only can you connect with your friends and family, but it opens doors to possible conversations with folks who were previously unreachable, thought leaders in science, journalism, politics, and of course the odd celebrity interaction here and there (I’m certainly not above sending a fanboy tweet to my favorite NPR anchor now and then!). While I definitely take issue with the sometimes knee-jerk reactionary antics that it can encourage en masse, in general I find Twitter to be an outstanding communication and personal connection tool, and we’re lucky to have free and unfettered access to it. However, it was only at the beginning of the 2013-14 school year that I discovered how much Twitter could truly enrich my professional life. Needless to say, I am a much better leader today because of the outstanding individuals locally, nationally, and internationally that I’ve been able to “talk” with via social media. It was Twitter chats that got the ball rolling for me. At this point, if you’re reading my blog, you probably know all about the myriad chats that are out there for educators. If you have no idea what I’m talking about, let me know in the comments and I’d be happy to talk your ear off about it. Yesterday afternoon I was invited by my good friend and respected middle level leader Lisa Meade (@lisameade23) to participate in a chat at 5:30 AM today. This chat is called Breakfast Club, although I think Bleary-Eyed Coffee Club might be a more appropriate moniker, and it is the brain child of New Jersey middle school teacher Scott Capro (@ScottCapro). The chat consists of a 15 minute window where participants discuss one daily question. The questions are crowd-sourced via Google Doc, and anyone can sign up for a day. Along with the list of questions, participants can contribute to a growing playlist of inspirational music to go along with the chat topics. I have to admit that when Lisa first invited me, I thought to myself “Whoa, I may have to draw the line here! These chats are getting out of hand. I need my beauty rest!” However, I decided to trust my friend, as she has never lead me astray before, and I set my alarm for 5:15 AM (the extra 15 minutes was so I could hit snooze at least once). And we were off! 15 minutes flew by, but it was the perfect amount of time for me to make several new connections, and I can’t descirbe how refreshing it was to wake up to positive talk from inspirational educators rather than my usual cocktail of soul-sucking international news and in-my-own-head-worrying about the upcoming challenges of the day. Meanwhile, there were a surprising number of participants for 5:30 AM on a summer morning! For me, this topic invoked the idea of not only standing up for kids because it should be our #1 priority as educators, but also of setting the example for others, both our students and the adults in our buildings. Kudos to Scott Capro for championing this idea, and thanks to Lisa Meade for lovingly badgering me into participating. I can’t guarantee that I’ll be at every #BFC530, but you can be darn sure that I am going to try to participate as much as possible. This chat is just getting off the ground, but I have a feeling that when the school year is upon us we will see a growing number of voices joining in on a daily basis. After all, who can’t use a little bit of inspiration for breakfast? 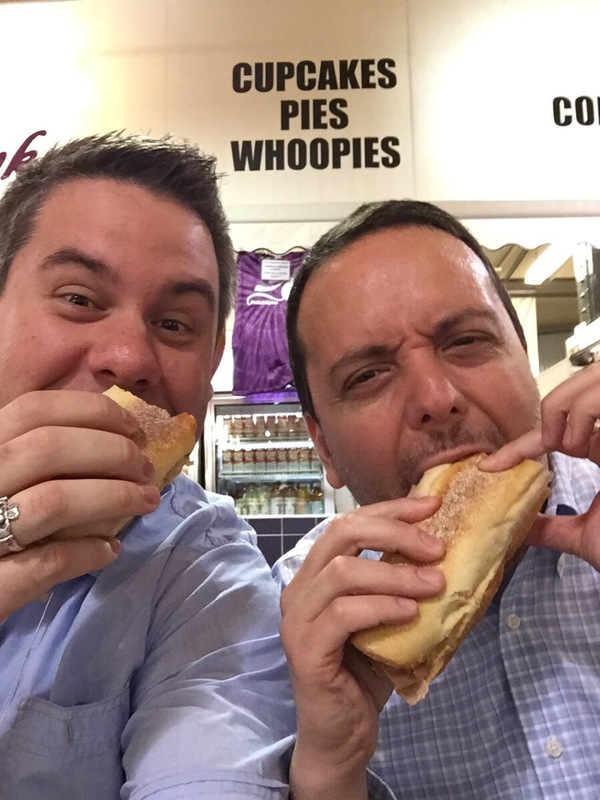 Check out the chat Storify for a clearer picture of what went on this morning, and remember…. When we were brand new educators, working with students for the first time, we had established mentoring programs to give us the necessary structured support from colleagues because, let’s be honest, we likely wouldn’t have asked for help out of fear of looking like we had no clue. I was extremely thankful for my mentor when I was first hired as a school counselor nearly 10 years ago. He helped set me on a path to success through discussion, intelligent questioning, organization, and historical knowledge of my new school community. The importance of this experience in shaping the counselor, the professional educator, that I became over 8 years has not been lost on me. In schools we make it a priority to focus time and resources on developing and maintaining teacher mentoring programs. We understand the importance of providing that resource to new people coming is as a way to keep them connected, provide an outlet for growth and development, and most importantly to retain the best people to instruct our students. In contrast, something I learned very quickly as I began my first year as a high school AP is that the same importance on establishing mentors for new building leaders is not necessarily there yet. It’s only a just-emerging practice. In the summer that I was hired and moved from counseling office to main office, I was the sole building leader for an entire month. There was some transition in my building as people moved on to new positions, and there I was. Granted that month was July, but there was still a great deal to learn. I was running summer school for the first time, assigning the dreaded teacher duties (study halls, hall duty, cafeteria duty, etc. ), learning an entirely new aspect of scheduling software that I had been using for years, reviewing requests for summer curriculum work, and the list goes on. Sure, I had a year long internship under my belt with a wonderful principal mentor, but now she was gone, too. There is a huge difference between having someone at your side to fall back on when you aren’t sure how to move forward and all of the sudden being the “go to” guy. Amazingly that summer I held it together through some otherworldly grace, for sure. And I certainly learned a lot. Meanwhile, what I discovered beyond the nuts and bolts of the job was that there is nothing more important to a developing school leader like myself than the opportunity to connect with mentors. Unfortunately, there’s this idea that I’ve encountered out in the world of education that the expectation for building leaders is to hit the ground running and have all the right answers. Of course, nothing could be further from the truth. Luckily, my second year as an AP has been the year of my PLN, and I’m so thankful for it. 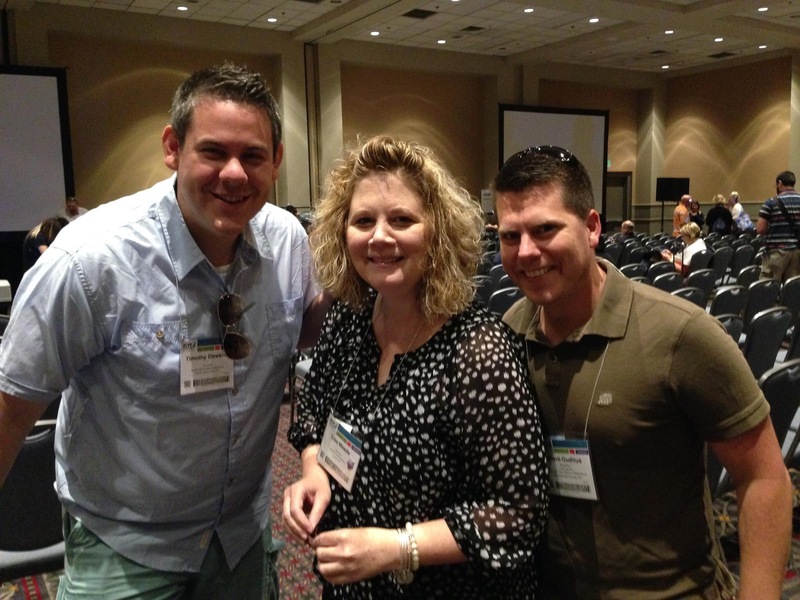 From the early days of branching out on Twitter to connect with fellow educators through various chats (#NYEDChat, #SatChat), to attending the NASSP Annual Conference in Dallas, TX and learning in person from some of those people I had connected with online, I have devoted this school year to developing professionally by embracing the power of social media. And in my quest to connect, what I’ve discovered, quite serendipitously, is that I have come away not with simply other educators to talk to, but with multiple mentors, professionals who have my back, tell me when I’m wrong, and very much want to see me succeed in my endeavors. Do you understand how powerful this feeling is? In 2014 your mentors don’t have to be in the office, or even in the building, next door anymore. They don’t have to be provided by your district in an official program. They can be in another district, in another state, and even in another country! They are waiting to be found. Recently I had an amazing experience with three building leaders that inspired me to write this post. I have had the pleasure of working with Lisa Meade (@lisameade23) multiple times in person. I’ve interacted with Tony Sinanis (@TonySinanis) on Twitter in various chats, and Don Gately (@donald_gately) jumped on board to help me out simply because he was asked by Lisa. He’d never interacted with me at all! I was in a new, uncharted situation that called for some discussion, reflection, insight, knowledge, advice, and feedback, and these three leaders gave up family time on a Monday night to participate in my own personal Google Hangout mentoring session. Here we were, four professionals from different parts of New York State, jiving face-to-face about education without having to travel at all. Our discussion was just as robust as it would have been if we were sitting in the same space. It’s a revelation! Its a revolution! It’s my current answer to building leader mentoring. My point is we no longer have a reason to feel like we’re working in a vacuum. This is especially pertinent for those folks who may be the only administrator in their building or district. We have so many more options now than we had even two or three years ago to connect with other lead learners to receive regular feedback on decisions we’ve made and decisions we have yet to make.This is just another reason to get connected. Take control, develop your PLN, and find your mentor. He/She/They are waiting! I’ve been meaning to get a professional blog started for quite some time now as I continue to grown my personal learning network (PLN) online, mostly through Twitter. I’m certainly no stranger to blogging, but it is only recently that I’ve truly considered the power of being able to write about my career in education as a powerful reflection tool for myself. It also gives me another opportunity to engage in important discussion with professionals from around the world who are living in the changing world of education right along with me. With that being said, I’m breaking into this medium with a softball pitch from Lisa Meade, who has been bugging me to jump in feet first for a while now. And since I respect her both as an educational leader and as someone who knows how to rock a PLN, I simply have no choice but to respond to her tagging of me in this viral blogging challenge. Here goes! Acknowledge the nominating blogger.Share 11 random facts about yourself. 1. I went to an all boys, Catholic, military school from grade 6 all the way through grade 12. I graduated as a Lieutenant Colonel in our JROTC program. It wasn’t nearly as bad as it sounds. In fact, I really wouldn’t have had it any other way. 2. I don’t know how to drive a manual transmission car. Anyone giving lessons? 3. My first trip out of the country was with my family when I was 12 to Ireland. We rented a car and drove the western and southern coastline to Dublin in a week. It’s the trip where I picked up the bad case of the travel bug that I’ve had ever since. 4. I’ve traveled to 21 of the 50 states, Canada, Bermuda, multiple islands in the Caribbean, England, Ireland, France, Italy, Belgium, The Netherlands, and China. My current travel dreams are to go to Turkey and Southeast Asia. 5. I have only a very basic working knowledge of sports. Many people have tried to break through my athletic barrier with nothing but poor results. 6. I played the clarinet from 4th grade all the way through high school. Definitely not an instrument you break out at parties, so it’s currently collecting dust in my basement somewhere. I think I might even still have the same reeds I used during my senior year! 7. My wife, Amy, and I have been together for 14 years, 8 of those as a married couple. 8. I have a 4 year old boxer named Olive who is an eternal puppy, but I love her anyway. 9. I’ve had my photography shown at two individual shows in the Capital District, as well as published online in several different web-based publications. I still prefer Polaroid-style pictures over digital, and I sometimes shoot with an old SX-70 from the 1970’s. 10. When I plan a trip, my itinerary is mainly focused on food with a regional slant: Where can I get it? What can I try that I’ve never had before? How often will I be able to eat it? 11. I once spent an evening on a movie set with a sound engineer friend and the actor Tim Daly (among others), watching a movie get made. It was definitely one of the cooler nights of my life. 1. My best “pick me up/cheer up” song is “Kick Drum Heart” by The Avett Brothers. 2. My favorite movie is a tie between Clue and Love Actually. Also, The Lord of the Rings trilogy and Lost in Translation. OK, really, I don’t think I can answer this question. 3. If I could change anything about the educational system in my area, I’d do whatever I could to take away the undue stress facing all NYS educators these days so that they could do what they do best: teach our children to be contributors to a global community. 4. If I had funds at my immediate disposal, I would open up big, technologically stacked, collaborative learning spaces throughout my building, and I would provide as much professional development as is necessary so that teachers were comfortable collaborating across departments rather than feeling like they need to teach to a test within an assembly line version of education. Then I’d hire more of them. 5. I handle the sometimes stress and negativity that comes with my job by reminding myself that I am making a difference as long as I come to work every day ready to forge relationships with the entire school community. And when that doesn’t work, I turn to a really good sandwich. Sandwiches are gifts I give to myself wrapped up in nice carbohydrate-laden packages! 6. I haven’t had the opportunity to meet anyone within my Twitter PLN that I didn’t already know professionally. I’m hopeful that will change as I continue to be involved in planning EdCampUNY with Lisa Meade, Peter DeWitt, Vicki Day, and Christina Luce. Stay tuned! 7. My big professional resolution for 2014 is to pull even further away from the desk and become more in tune to what is going on in my building with students. 8. I typically read several books at the same time. Right now I’m reading Divergent by Veronica Roth (not afraid to admit that I enjoy the YA lit – nice distraction from daily stressors), The Ocean at the End of the Lane by Neil Gaiman (one of my favorite authors), and The Passage by Justin Cronin (in audiobook format while I drive back and forth to everywhere!). 9. One of my proudest moments was getting my current job as assistant principal. I had been a 9-12 counselor in the building for 8 years, and it was amazing to know that I was tapped as a leader in this school that I love. 10. I’ll stick to the professional answer here – One of my saddest moments came this year when the other AP that I worked with informed me that he had been offered and accepted a position in a nearby district, starting just after Thanksgiving. Although we had only worked together for 14 months, as two brand new building leaders we established a positive, uplifting, and trust-filled working relationship that benefited everyone around us, and I miss that very much. 11. Three of my best qualities are my ability to listen, my penchant for remaining flexible even in the presence of challenging behavior, and my willingness to reflect on my failures so that I can be better in the future. So that’s it. I hope you’ve enjoyed this introduction to me. Thanks to Lisa for inspiring me to stop procrastinating and just get blogging already! I hope you come back again soon. I’d love to hear what you have to say. And don’t forget to find me on Twitter.